Great news, soap viewers! Fan favorite Genie Francis is returning to General Hospital. 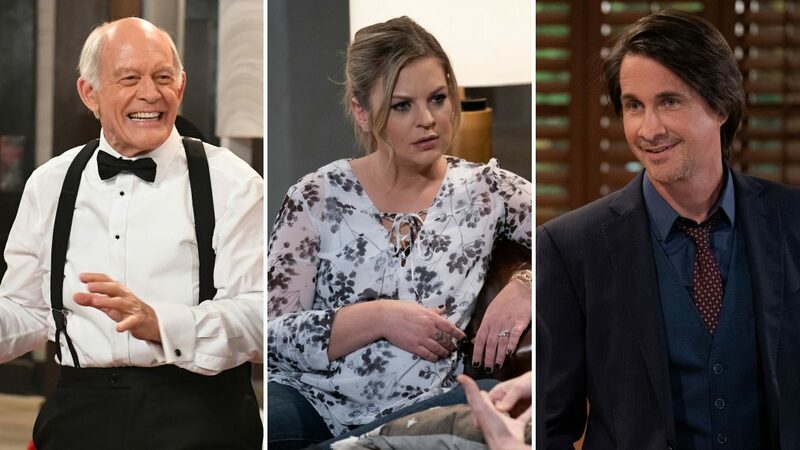 The Emmy-winning actress is bringing her iconic character — Laura Vining Webber Baldwin Spencer Baldwin Collins — back to Port Charles. As regular viewers of GH know, Laura exited the story canvas in January when she went to Europe to nurse her precocious grandson, Spencer, back to health after he broke both of his legs. “I’m really excited for Genie to be rejoining the cast and we have an amazing story for her,” Frank Valentini, the show’s executive producer, says. So when does all of this unfold? Francis debuted on GH in 1977 as the long-lost daughter of Dr. Lesley Webber (Denise Alexander). The triangle featuring Laura, Scotty (Kin Shriner), and Bobbie (Jacklyn Zeman) was instrumental in catapulting GH from near cancelation to the top of the ratings in the late 1970s. A record 30 million people tuned in to see the wedding of Luke (Anthony Geary) and Laura in the fall of 1981. Francis received a Daytime Emmy nomination for Outstanding Lead Actress in a Drama Series for her role as Laura in 1997. A decade later, the actress took home the gold for her work as Laura in the Outstanding Supporting Actress in a Drama Series category. This week, fans of the duo can now take a look back at many of the pair’s most popular episodes. At press time, an exact return air date for Francis was unavailable. However, GH usually tapes a few weeks ahead of time.